Anthropologist 'confirms' Apple is a religion. "Like many Sacred Ceremonies, the Apple Product Launch cannot be broadcast live," she wrote. "The Scribes [and] tech journalists act as Witness, testifying to the wonders they behold via live blog feeds." 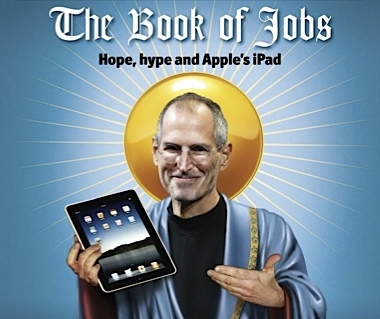 Apple is not a religion. It has a loyal following as a company, and it is both the technology industry and the fan base which adds a level of reverence to Apple events -- not because we're hanging on every word that passes the lips of an Apple spokesman -- but likely and simply because the products are cool.